1、Effective on skin lifting, skin tightening, wrinkle removal, smooth fine lines, anti-aging, anti-acne, tender skin and lightening skin, fat burning. 2、Also do good at muscle relaxing, arthrosis ankylosis relax ,pain released, pain therapy and lymphatic drainage. 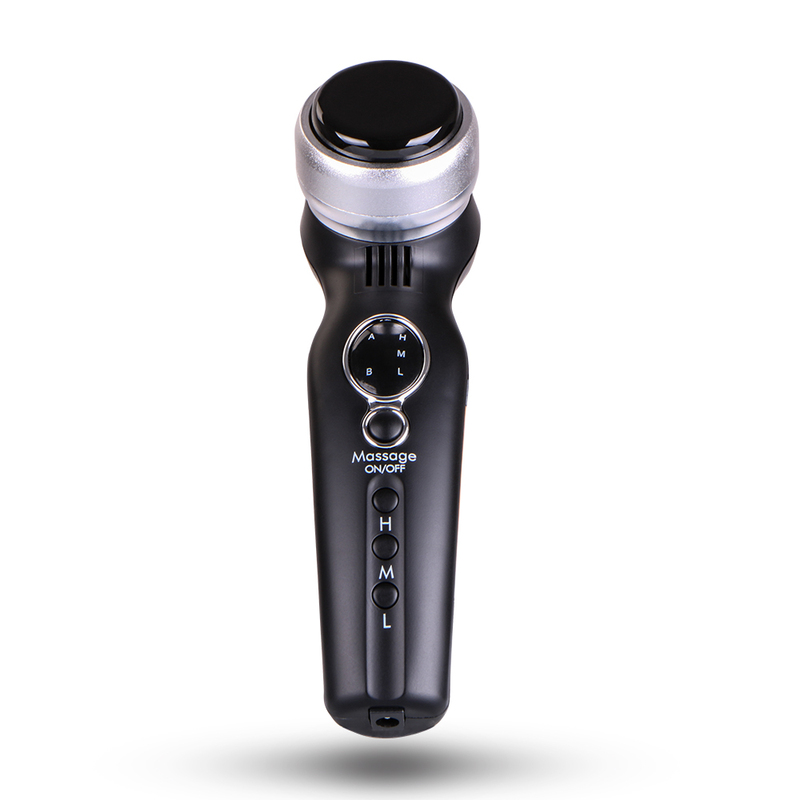 3、Combine with RF radio frequency hot therapy and vibrating massage therapy. 4、L, M, H energy for radio frequency and 1-3 vibrating massage levels are available. 5、Easy to use and carrier around. Deep heating of RF technology: The deep heating of Monopolar RF effects the electronics of tissue with the biological response of polarization electronic mobility by way of human tissues, resulting the electronics are formed as the molecules twist and crush against each other so that bioenergy is produced, thereby bringing skin to warm in deep to stimulate the collagen produce contraction immediately, to stimulate the secretion of new collagen to fill the gap of losing collagen atrophy, and rearrange to rebuildskin soft frame, and ultimately firm up skin, remove wrinkle, restores the skin’s elasticity and luster. 1) Facial contours of the sculpture, such as face-lift, reduce a double chin, diminish fine and laugh lines, and tighten loose skin, instead of and beyond thesurgical face lift. 2) Evacuation of lymph, eliminate excess water and toxins, remove eye pouch and dark circles,astringe pores and acne. 3) Dispel false authenticity wrinkles and repair stretch marks. 4) Soften the horniness, reduce melanin and purify and whiten skin. 5)Sysemic anti-aging, tighten the modification of neck and back, shape the waist,the abdomen’s surrounding and the legs.